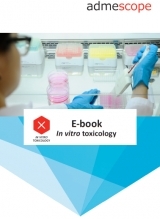 The aim of the first e-book in our ADME-Tox e-book series is to help readers understand the importance of ADME studies in drug discovery and development, and to shed light more closely on drug metabolism studies. 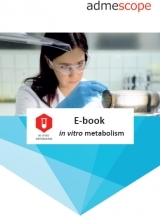 In the pages of this book you will learn the key ideas and concepts needed to conduct in vitro metabolism studies in a high-quality manner. 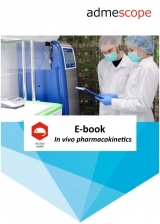 The second book in our e-book series introduces us to the inevitable by-product of polypharmacy; drug-drug interactions (DDI), which can be divided into pharmacokinetic and pharmacodynamic interactions. 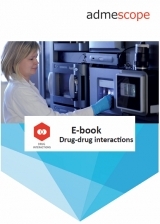 As the emphasis on current regulatory guidance is on pharmacokinetic interactions and more precisely on metabolic interactions, the book focuses on enzyme inhibition and induction studies. Drug-induced toxicity is one of the major reasons for discontinuation of drug development projects or even drug withdrawals. Terminating a drug development project due to toxicity in later phases is costly and may cause unnecessary harm to test animals and humans. To avoid late-phase project failures, several in vitro toxicology screening tests can be conducted already in the drug discovery phase. Prior to clinical trials, new drug molecules are examined and tested using in silico and in vitro approaches to weed out the ones with unwanted characteristics, such as low efficacy, toxicity or problematic pharmacokinetics. Despite the fact that the development of these approaches has progressed enormously in the last few years, they are still not advanced enough to replace in vivo animal studies. 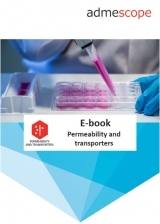 Permeability is one of the key factors in determining how a drug is absorbed, distributed and eliminated. Most conventional small molecule drugs permeate through cell membranes via passive diffusion or are actively transported by transporter proteins. The function of many of these drug transporters can be inhibited or induced by co-administered drugs, and thus are to be included in the drug interactions studies.